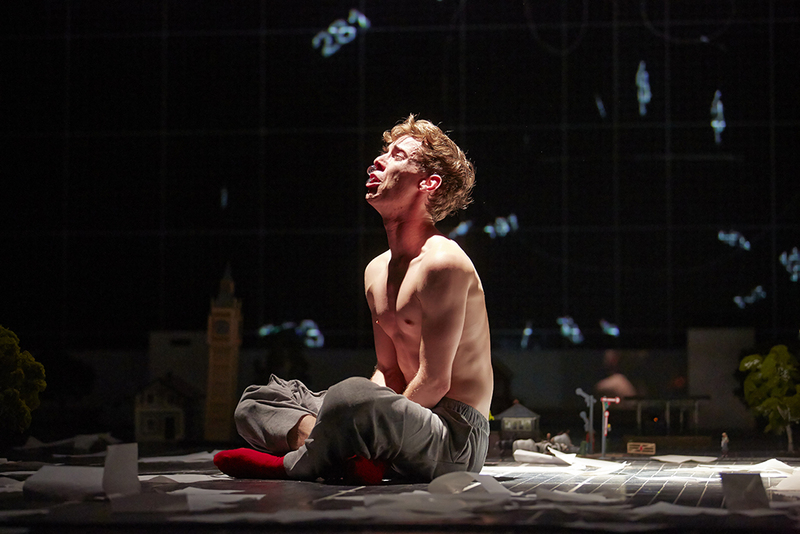 An extraordinary brain and a frightening story: The Curious Incident of the Dog in the Night-Time; at a Berlin cinema near you! There’s just so much to do in the wonderful city of Berlin. It’s still June and this month has been fantastically exciting. 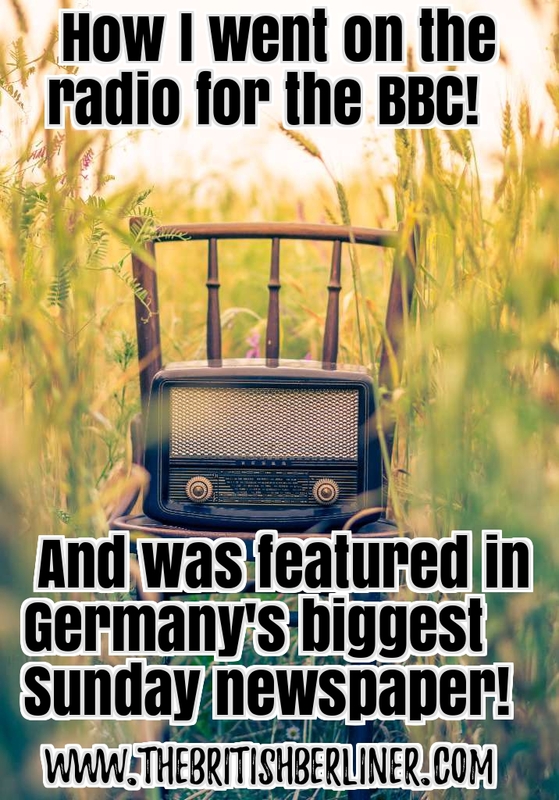 At the beginning of the month, I introduced you to the hip-hop, break-dancing fun of Mozart, I watched the hilarious stand-up performance of Bill Bailey and also did my first interview with a tall, lanky, German, English-speaking, comedian! 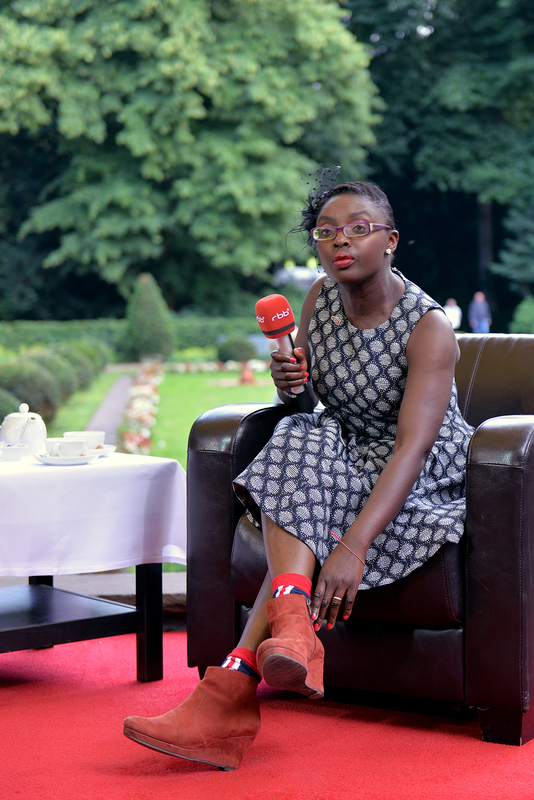 I then went all glamorous and did my first press stint at the it’s so-hip-it-hurts Berlin Music Video Awards. After that, it was only a matter of time before your fabulousness and mine could be hidden no further, at the summer festivals that the city of Berlin organises for free! In May, I began to introduce you to all the lovely things that you could do in Berlin without the worry of understanding the very intellectual, but grammatically difficult, language of German. One of those activities was the rather wonderful Shakespeare production of death and destruction in the body of King Lear. As I recall, I told you that Berlin is lucky to be one of the designated cities to have original productions broadcasted by the English Royal National Theatre. Live. What this means is that you don’t have to go to London to watch these productions and pay through your nose, but you can relax and watch them from the comfy seat of a world-class cinema, instead. Last month, I received a ticket from one of Berlin’s very few cinemas in which you can watch original English Language films. The cinema is called: CineStar Berlin – Original. im Sony Center. You can watch Hollywood blockbusters, Oscar nominated films, the English Royal Opera Live and live productions from the Metropolitan Opera in New York. Isn’t that brilliant? 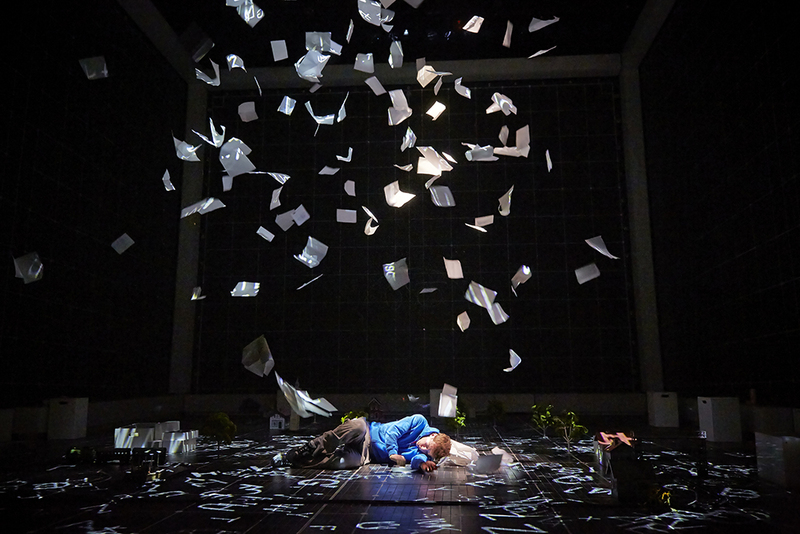 It’s the cinema that I go to the most and a few weeks ago I chose to watch the National Theatre Live production of The Curious Incident of the Dog in the Night-Time. 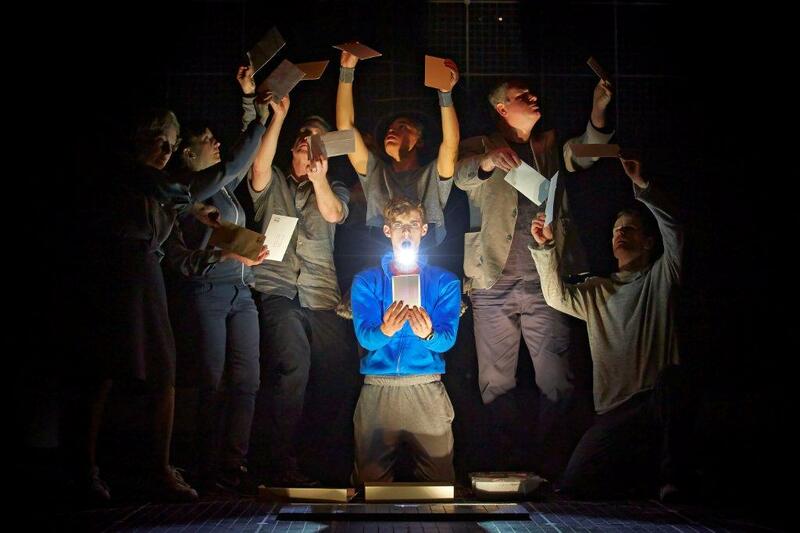 The Curious Incident Original West End cast. 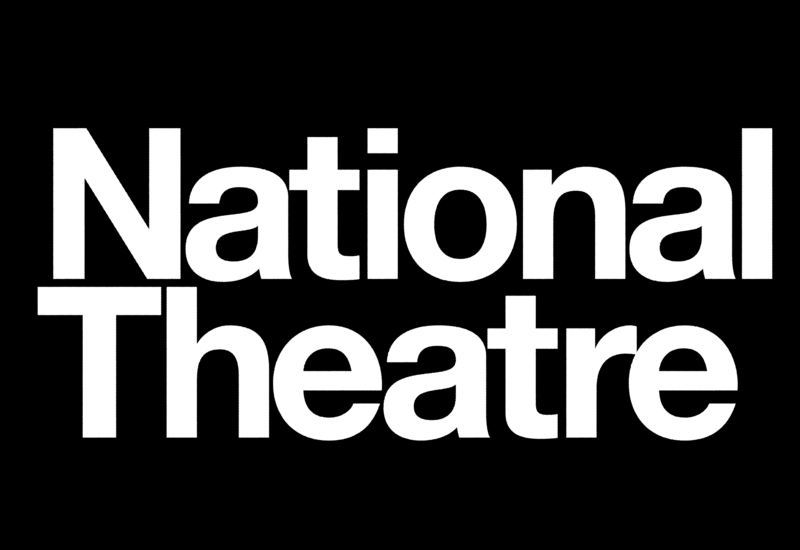 The National Theatre Live is an exciting initiative to broadcast live performances of the best of British theatre to cinemas in Britain and around the world. 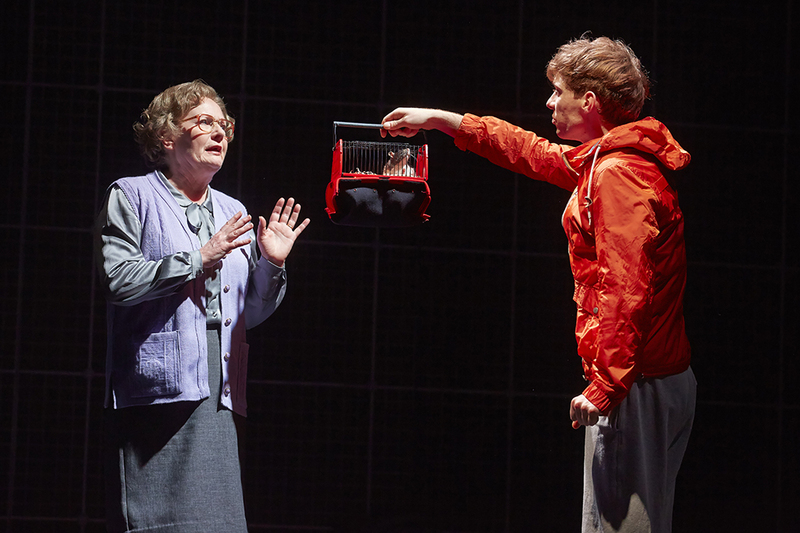 Launched in 2009, the National Theatre Live is shown in over 700 cinemas, in 22 countries all around the world. So far, I’ve personally seen three (3) productions. One (1) production starring John Lithgow in The Magistrate which was awesome, the second (2nd) production starring Helen Mirren in The Audience which was fabulous, and the third (3rd) production in King Lear which was amazing. 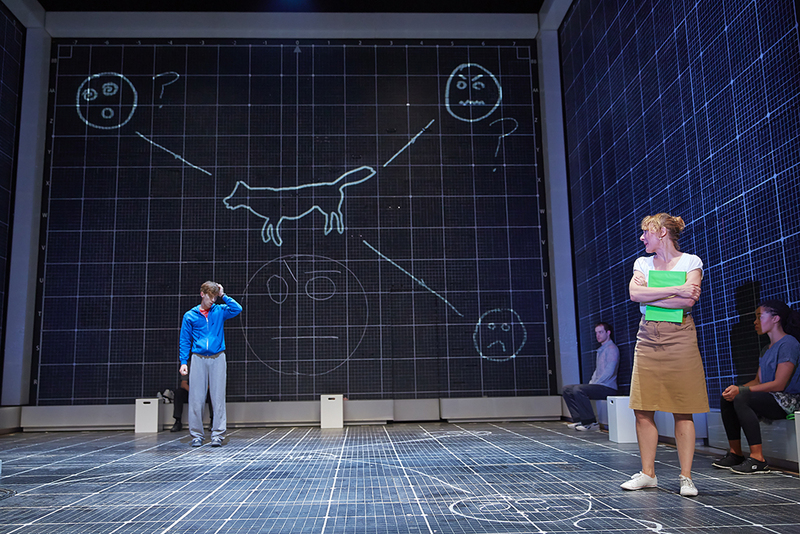 WHAT IS THE CURIOUS INCIDENT OF THE DOG IN THE NIGHT-TIME ABOUT? 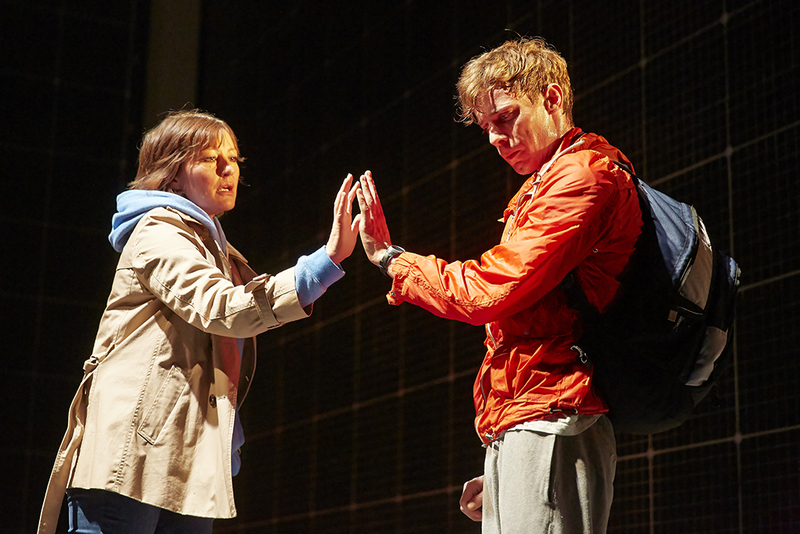 Well, the play is based on the award-winning novel of Mark Haddon, adapted by Simon Stephens, and directed by Marianne Elliott. The book was originally published in 2003, and was the winner of more than seventeen (17) literary awards, including prizes in Japan, Holland and Italy, as well as the Whitbread Book of the Year Award in Britain, in 2004. I remember the book being the darling of the literary world at the time, so if you haven’t read it, perhaps you should. 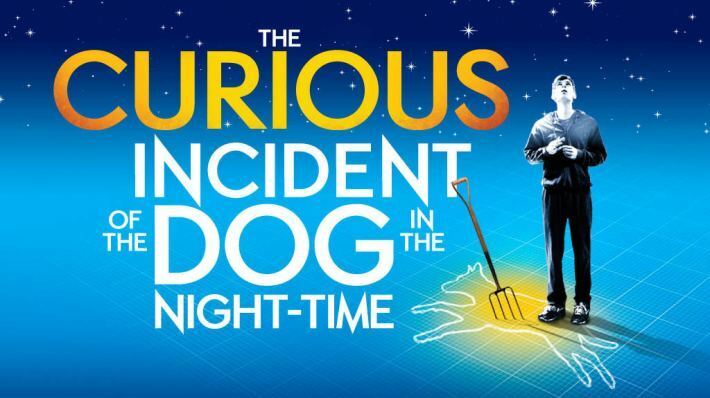 The story is about a young 15-year-old boy called Christopher who discovers that his neighbours dog (Wellington), is dead. It has been speared with a garden fork, and Christopher himself, is under suspicion, as to killing the dog. Christopher records each fact in the book he is writing, to solve the mystery of who murdered Wellington. 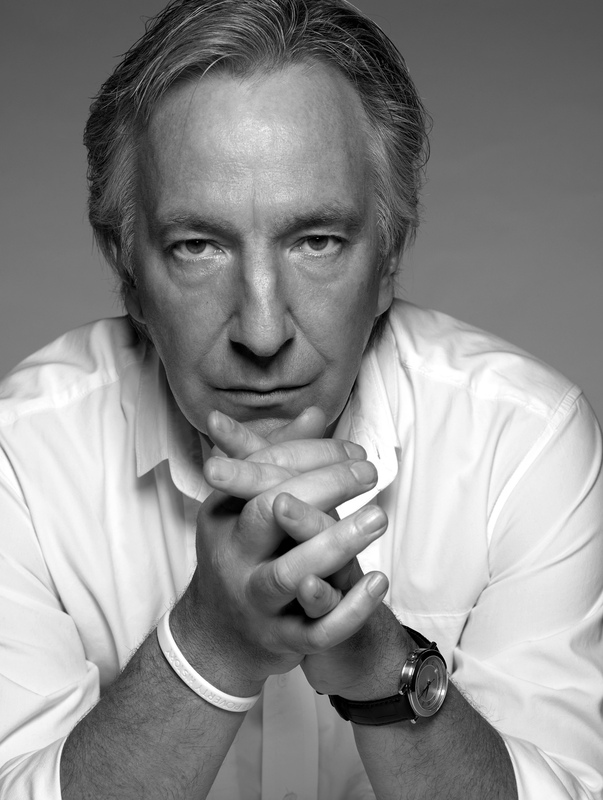 He has an extraordinary brain, is exceptional at maths but is terribly ill-equipped to interpret everyday life. He has never ventured alone beyond the end of his road, he detests being touched, and he distrusts strangers. But his detective work, forbidden by his father, takes him on a frightening journey that upturns his world. DO I NEED TO UNDERSTAND REALLY GOOD ENGLISH TO WATCH IT? Yes, because it’s the theatre sweetie. No, because you don’t need to get the words in order to understand the play. 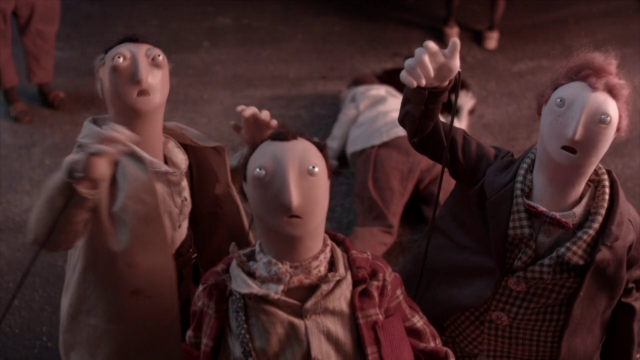 It’s pretty plain and what is a theatre production, if the actors don’t jump around, sway, and cry in a flood of tears? Without giving too much away: young Christopher goes alone on a very long journey, and meets interesting characters in the big and dangerous city. You might not know Luke Treadaway who plays Christopher the 15-year-old boy who has a unique perspective on the world, Niamh Cusack who plays Siobhan, Christopher’s favourite teacher, or Paul Ritter who plays Ed, Christopher’s father, but I bet you are familiar with the actor Una Stubbs. 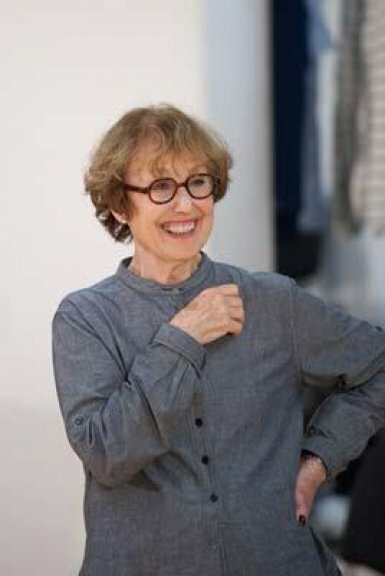 The Curious Incident Rehearsal of Una Stubbs playing Mrs Alexander. UNA STUBBS: Una plays Mrs Alexander an older woman living in Christopher and Ed’s street, who seems to know all the neighbourhood gossip. Una can be seen in such productions as Worzel Gummidge (1979-81) and (1987-89), The Catherine Tate Show (2005), Eastenders (2006), and of course famously known as Mrs. Hudson: the landlady of 221B Baker Street in the BBC 1 production of Sherlock (2010- ). Sad and thought-provoking! 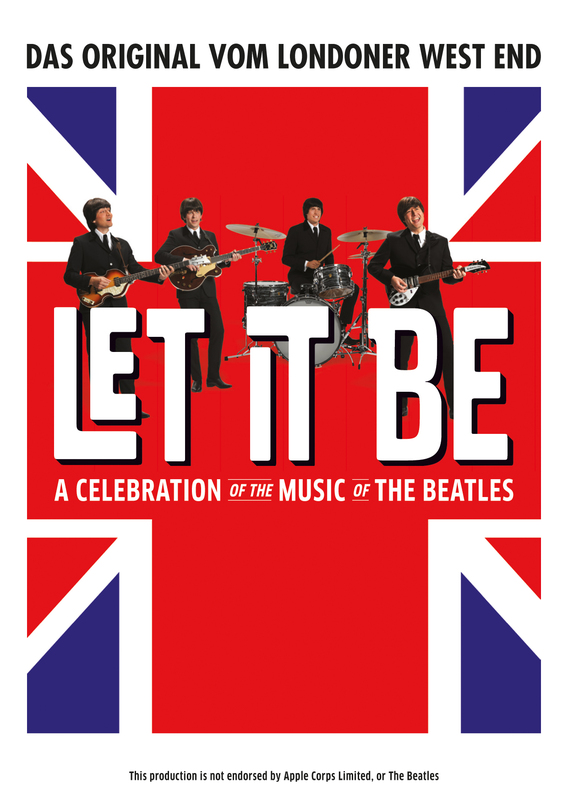 I might be biased here but a British theatre production will never let you down! Wear whatever you want without the worry of being over or under-dressed although I personally dressed up. It’s ingrained in our soul! You can bring your popcorn and beer into your seat but for more authenticity, buy champagne or wine, and brand bottles and glasses about like I did. It’s the theatre sweetie!! WHAT IF THIS PERFORMANCE REALLY ISN’T MY CUP OF TEA? A Small Family Business by Alan Ayckbourn coming up in Berlin on 03.07.14. Approximate running time: 2 hours 40 minutes, including a 20 minute interval. 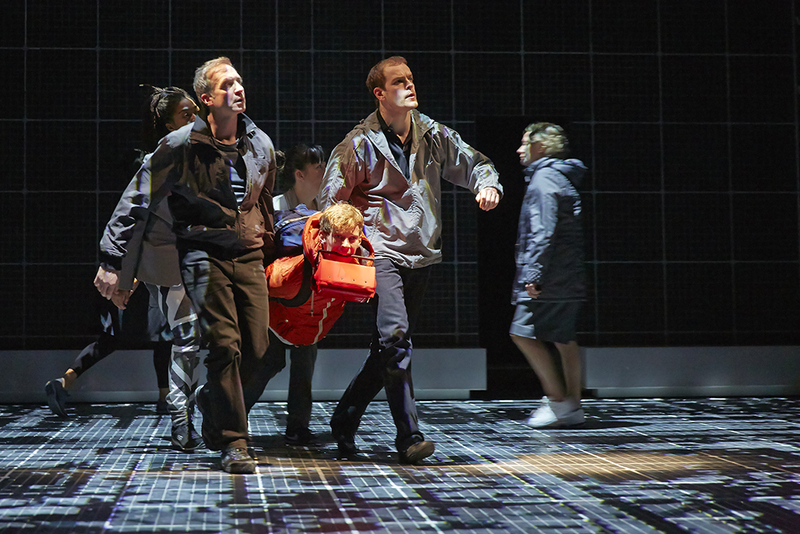 For more information about The Curious Incident of the Dog in the Night-Time, please contact: The National Theatre Live. This article is not sponsored and even though I received a complimentary ticket, all opinions and the bottles of chilled wine I quaffed, are my very own! Every week for the months of May and June, I’ll be writing about summer time in Berlin, and what to do when you get here. 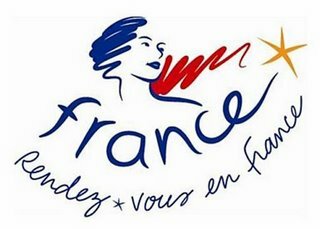 In the next few weeks, I will be writing about the exciting world of fashion, river cruising, and just having a jolly good time. In case, you didn’t know, and surely you did! Berlin Fashion Week is taking place 08.07.14 – 13.07.14. I’m going. Hurrah! Be there or be square! Or on the other hand, read my blog. July is going to be amazing. 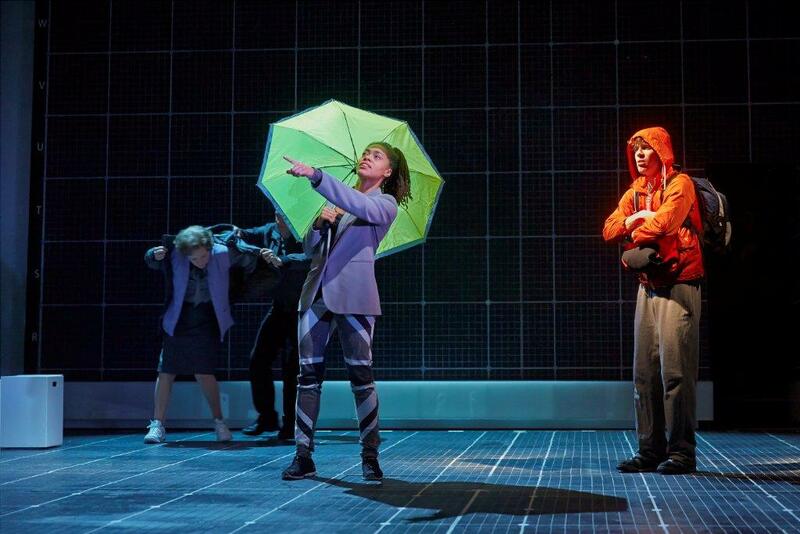 Have you watched a National Theatre Live production? 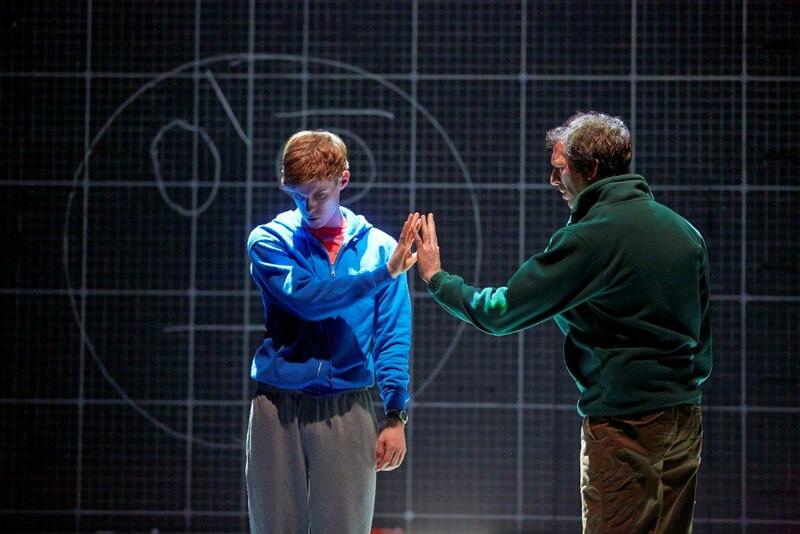 Have you ever read The Curious Incident of the Dog in the Night-Time? Do you know Sherlock? Previous PostI’m fabulous and so are you! 10 tips on going to a festival in Berlin.Next PostTilda Swinton and the Last Hurrah: Berlin Fashion Week Spring / Summer 2015! Loved the book – would love to see the play too! Same here. The book was amazing. Check the National Theatre website to see if they show in Latvia. You never know! They don’t really have English plays here unfortunately! There was a Shakespeare week here a while back but that was the only time I saw plays in English being advertised here. Awww. You poor thing. I don’t know what I’d do without a hint of home. Mind you, when I first came to Berlin we only had 1 cinema that had original productions and even then your life was in your hands as they used to throw things at the screen! So. You know. There’s hope n’ all that! Ha ha! Well, all the movies here are in the original language so that’s something! That’s something indeed. 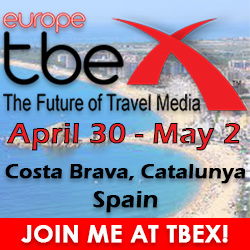 Enjoy it while you can…! Saw this today in Indianapolis, USA and it was AMAZING. My 11 year old loved it, too. The title is a mouthful, but it looks like fun. I love live productions. I have seen Grease, Lion King, etc in London. Gotta check out the book then, seems l am one of the few who never heard of it..great write up . Makes me want to see it. Oh you know me kemkem, I’m Queen of the long titles LOL! I love live productions too and you sure have seen a lot. Lucky you. I’m yet to see “The Lion King” and “Wicked: The Musical” as the prices were outrageous, the last time we went to the West End in London. In fact, it was far cheaper to watch the opera! I’d like to see “The History Boys” in person though as I’ve read the book and watched the film. It’s a great story. Thanks very much for the lovely comments kemkem. 🙂 🙂 Don’t be a stranger. Go and get the book LOL! It really is and honestly, we know how lucky we are. I mean England isn’t far away but it does make things easier that we don’t actually have to fly to London, get a hotel, battle the Tube (the underground), spend lots of money on drinks and going out, all because we want to watch a decent English theatre or opera production. I mean, now we can even watch the New York Opera. In Berlin! How amazing is that! Ugh, this seems too heartbreaking for me. And I am still kicking myself for not going to see The Audience last year!!! It was a bit Anna, but there’s a somewhat happy ending that’s all I can tell you! As for not seeing “The Audience” when you could well, that’s obviously a crime of indecision LOL! Believe me or not, but I’ve never been to a National Theater. I always thought it was something I would not like – way too posh and boring, but I really feel like experiencing it in the near future! The National Theatre Live sounds like a great concept and a way to open this up to the world. No longer limited by the seating capacity of just one theatre. I’ve heard of but never seen this play. I also recognise quite a few of the cast as well. Each time I read your blog Victoria the variety of options in Berlin just grows and grows! It really is a good play and an excellent book. Whatever the case, if you’re not able to get yourself down to London to see a NT production, the LIVE broadcasting is pretty good. It’s a bit like the one and only live broadcasting of Dr. Who that was shown worldwide this year. Most Germans have never heard of Dr. Who, in fact, make that Earth (except for enlightened Americans LOL! ), so I was enormously proud to introduce them to my world. The iceing on the cake was when at least 6 Dr. Who’s were present including my favourite – Tom Baker. It brought tears to my eyes. What a great idea! We are in London for a few weeks and we’re thinking about going to see something at the theatre. In the end we decided on Let the Right One in, but I think it’s great to be able to see such high quality shows all over the world!